God has given us an open door! If you haven’t seen the video, check it out! Why the name “Life Center”? After prayer and consideration, we are going to call this new location the “Life Center”. “Life” because it’s a part of our church’s name, and we know that Jesus came to give life, (real, abundant, fresh). “Center” because the building used to be called “Birdsboro Elementary Center”. We are so thankful that we will still be in the heart of downtown Birdsboro and are praying that this building will continue to give life to many! Want to see more of the inside? Click on the video below! Be a part of the transformation team! There are a lot of renovations to be done to transform this school building into a church and outreach center. We are expecting to take the next six months to clean, paint, install new flooring and decorate. We cannot do this alone. Would you consider being a part of our transformation team? Come pray with us on Sunday evenings from 6-7pm at the “Life Center” (Birdsboro Elementary Center). Sign up to receive a weekly email update with specific prayer requests for the Life Center project, and commit to pray daily for this transformation process. We have set a budget of $200,000 to renovate the school building. We only need to raise $60,000 more to meet that budget goal. 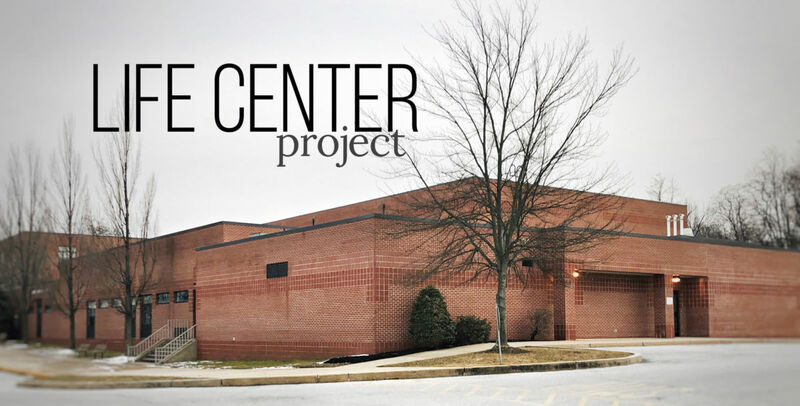 The renovation budget will cover what is needed to create a worship center in the gym, remodel the kids and youth rooms, prepare the parking lot, and add outdoor awnings. All of these improvements will help make the environment safe and welcoming for guests. We are looking for people to be part of the transformation team by committing to give (above your normal tithe) toward this project for the next six months. You can give any one time gift, or give monthly over six months. Or any other amount you would like to give! You can sign up to be part of the renovation team. We will be organizing weekly and biweekly work days for those who are available to come and help. Can you use a paint roller? There are 20 walls in our five different classrooms. We are looking to for people who are willing to paint one wall. We want to form teams of 3 people (or one family) who will be responsible for painting one wall! This will help the work to go quickly, and encourage team work and unity! We are praying for 60 people to sign up (to be a part of a team of three) so that we can get 20 walls painted! We will organize four different paint days, of which you would only need to come for one day. Would you like to be a part of our Transformation Team? Are you ready to help us walk through this open door? You can either signup online (below) or you sign up in person on any Sunday in March! We believe God is going to do great things as we join together.